LANTERN partnered with Wall-to-Wall to host curator Niki Little for an exhibition Sept 29th, 30th to correspond with Culture Days, and Nuit blanche events across the city. Narrative revision influence the designation of cultural sites/landmarks and the politics of remembering and forgetting shift the legacy of histories. place no place investigates Indigenous narrative that is either directly or indirectly referenced in relation to place. 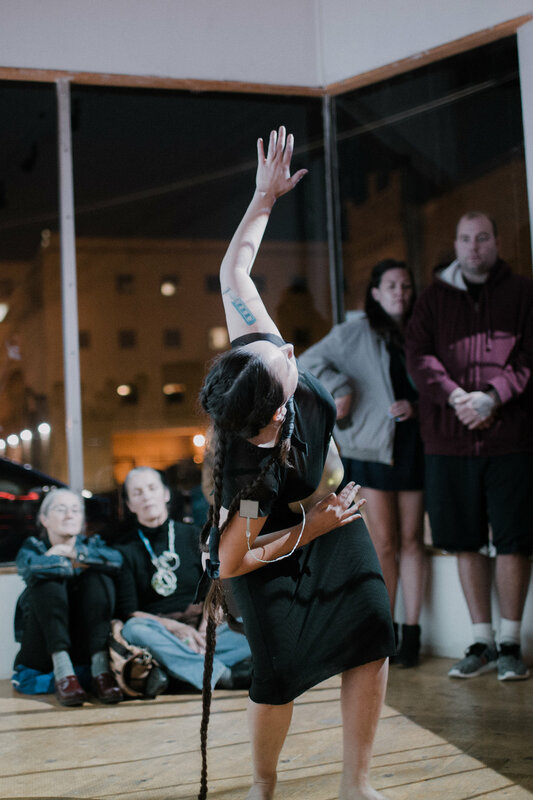 The works of Benesiinaabandan, Boyer, and Kite pendulate between the temporal and the historical through personal narrative, performance, and archival investigation that challenge and rework notions of authentic authority. It is a making and an unmaking. The works are not finished statements, but create an open space to question dominant narratives.